Park your car and meander along to Paihia’s beach, restaurants and cafes from your luxurious accommodation at Admiral’s View Lodge. Tours pick up daily from the motel or you can walk 5 minutes to Paihia village and wharf. We have a complimentary Tour Booking Service available at Admiral’s View Lodge and are happy to arrange any Bay of Islands excursions or Cape Reinga/Ninety Mile Beach day tours for you. The Bay of Islands has white sand beaches and abundant marine life and there are a number of ways you can explore on the water. Take a cruise to the Hole in the Rock, follow the historic transporting route of the The Cream Trip, visit remote bays and beaches on a sail boat, spend time and swim with the dolphins, kayak, fish or island hop. There will be trip to suit you, just ask our helpful staff. We are lucky to have the birthplace of our Nation, The Waitangi Treaty Grounds, at the western end of Paihia (2 min drive from Admiral’s View Lodge) – learn about New Zealand’s history, cultural shows, tours, scenic gardens, Maori marae and giant waka. 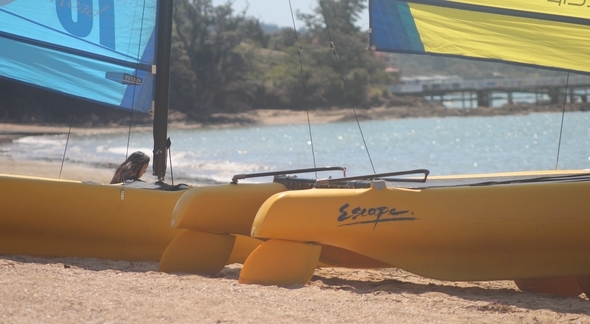 Paihia Beach is a safe, sandy swimming beach (only 1 block from Admiral’s View Lodge) – also available at the beach are kayaks and bikes for hire, and parasailing. Bay Beach Hire can help you with all your hire needs. Ferries depart regularly from Paihia Wharf (5 min walk from Admiral’s View Lodge) – explore historic Russell Village on foot, including Pompallier Mission House and Russell Museum. A world class mountain bike park built by Southstar Trails (the same legends who built the Rotorua MTBP). 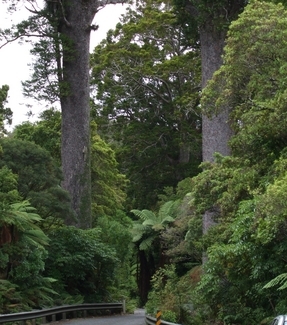 The 73 km mountain bike park is in the Waitangi National Forest. It boasts spectacular views across the bay and landmark trails. The park caters for all ages and experience levels, with a beginners level through to spine tingling advanced trails. A not-for-profit community initiative with a small entrance fee. Paihia Village – a range of shops, cafes, restaurants and bars to suit all tastes. New Zealand arts and crafts, Bay of Islands Ice Cream, Post Office, pharmacy, bank and information centre. The Bay of Islands and Northland boost a number of golf courses from small country courses to world renown championship courses. No matter your skill level there will be a course to suit you, both keen golfers Craig and Penny are more than happy to help you choose. Following are just two of the fantastic golf courses on our doorstep. Waitangi Golf Course is a stunning 18-hole course with spectacular views over the Bay of Islands (5 min drive from Admiral’s View Lodge) – casual green fees, club hire and lessons available. Kauri Cliffs Golf Course is a challenging par 72 championship golf course with ocean views from 15 holes. Ranked in the world top 100. PGA Tour star Brandt Snedeker called it "Pebble Beach on steroids" (45 min drive from Admiral's View Lodge).